Nathan's Real Estate Notions: Seasonal Slump? Wrote a number of offers for properties and was beaten out by multiple offers at 20% over asking price. Helped a buyer get pre-approved with some tricky financing requirements. Had a great conversation with a CPA about gifting money to family and the tax consequences. FORECAST: With seller competition at a six year low, listing your unique/hard to sell property now can be very advantageous. Contact me and we can discuss your specific situation. Inventory came to the market, but it was not enough to satisfy demand. 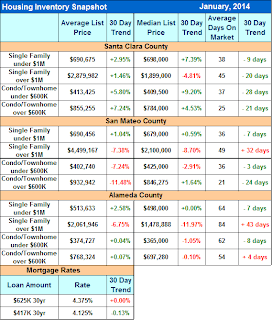 Santa Clara County sellers have an upper hand in this market. 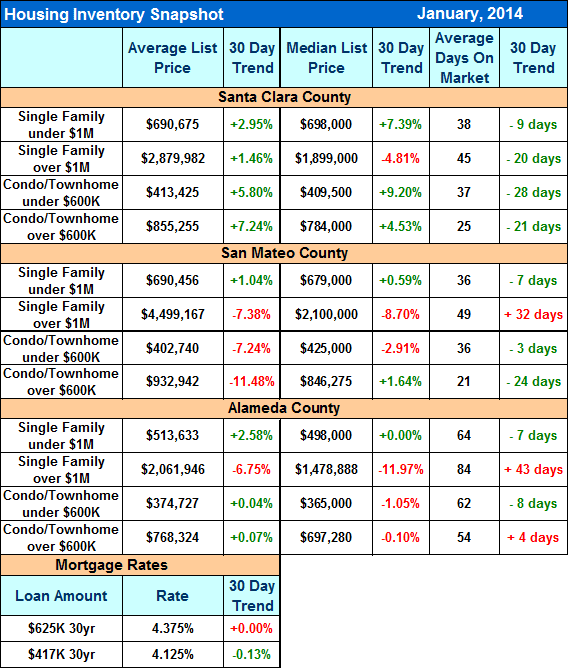 More listings came on in San Mateo County than Santa Clara, as a comparison to the number sold. I suspect it is going to be a temporary thing, but it could be a sign if the trend continues for more than a few months. CALL ME IF YOU NEED ANY SPECIFIC INFORMATION.